The kitsch banality of the Eurovision Song Contest and the gritty, punishing world of FromSoftware’s Dark Souls have little in common. Or at least they did until someone modded Epic Sax Guy into Miyazaki’s action-RPG. Want more? Here’s a list of the best RPGs on PC. Epic Sax Guy, aka Sergey Stepanov, first graced our screens back in 2010, as Moldova’s answer to Europe’s best (worst) musical reality TV show. He returned in this year’s competition, once again gracing our screens as he helped Moldova reach third place in the competition. The mod, entitled Sax Souls, replaces the conventional Dark Souls player-character with our hero. 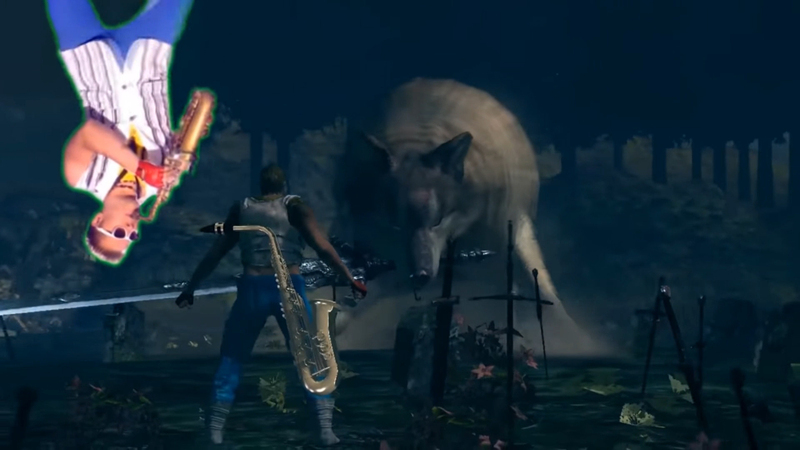 If you’d like to see him in action, the mod’s creator also made this video, which sees Epic Sax Guy gyrate wildly as he takes on a bunch of the game’s bosses, set to exactly the soundtrack you’d expect. While Epic Sax Guy made Eurovision significantly better, it remains to be seen whether it can do the same for Dark Souls. If you’d like to check for yourself, you can download Sax Souls via NexusMods.